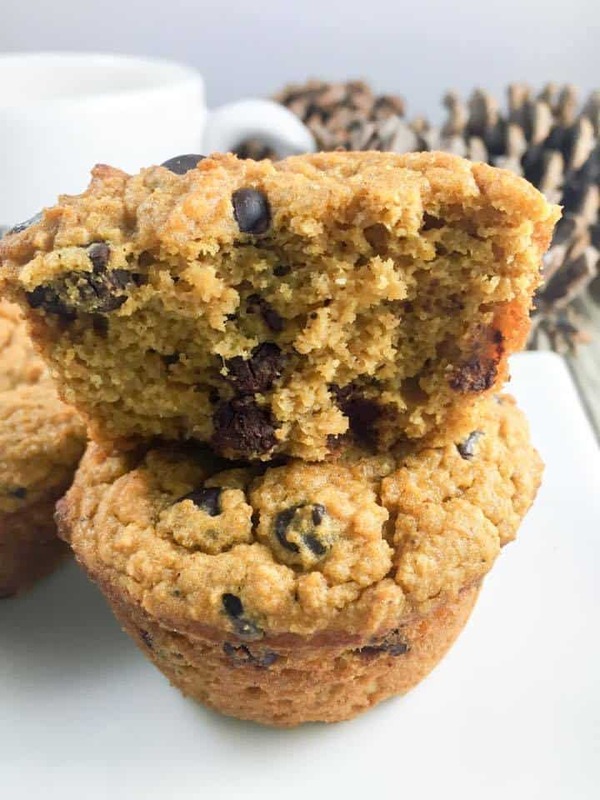 Pumpkin chocolate chip – perfection! Sweet pumpkin muffins studded with chocolate chips. The first of September I posted a Pumpkin Chocolate Chip Muffin in a Mug. That recipe has been crazy popular – easily one of my most popular posts. I have repeatedly had requests for a larger muffin recipe that could be baked in the oven. And I’m right there with my readers – I know how handy it is to have snacks/breakfasts/desserts already made and ready to go. It just makes life so much simpler! 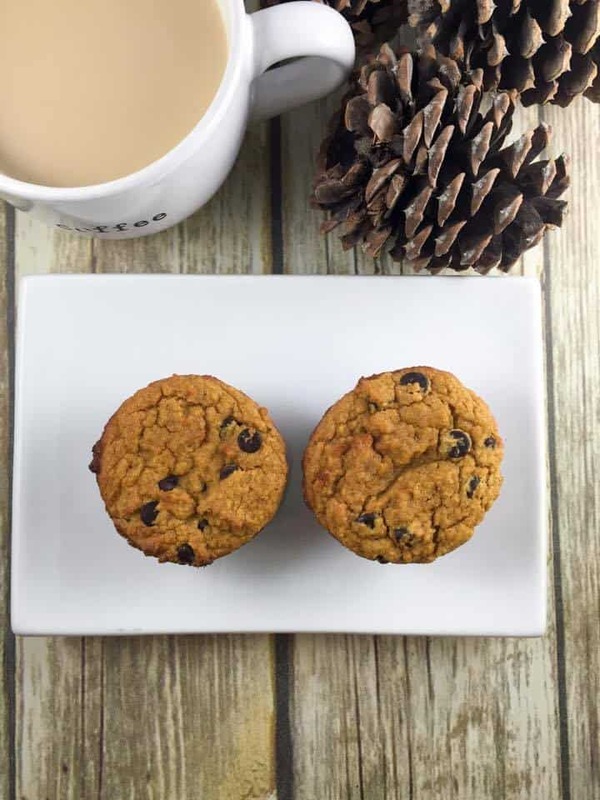 These pumpkin chocolate chip muffins are easy to make – the hardest part is waiting for them to bake! And you only have to use one bowl! I love one-bowl recipes. That makes for easier clean up! And oh, the smells that come wafting out of the oven – so warm and comforting! 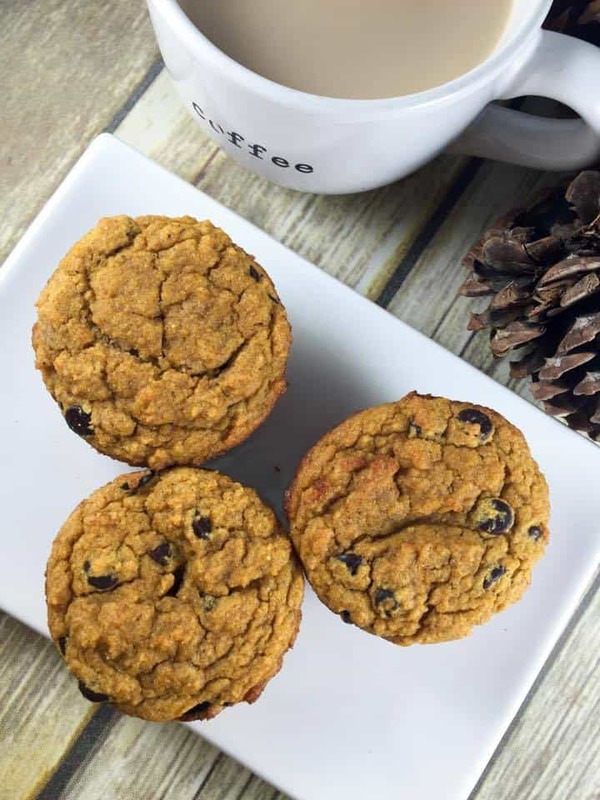 As a bonus, these pumpkin chocolate chip muffins are an “S” on the Trim Healthy Mama program, so you can slather them with “buttah” as much as you want! 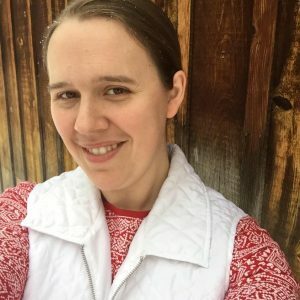 If you are unsure of what THM stands for, it stands for Trim Healthy Mama, a sensible way of eating that is helping thousands of mamas (and papas) lose weight and regain health (all while eating delicious food)! No deprivation here! You can find out more about this awesome lifestyle here. 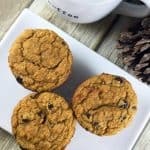 So what do you need for these Pumpkin Chocolate Chip Muffins? A perfect blend of pumpkin and chocolate chips. This recipe is low carb, sugar free, gluten free, and a Trim Healthy Mama S Fuel. Spray 9 cups of a 12 cup muffin tin with coconut oil spray, or place cupcake liners in holes. Add approximately 1/4 cup batter to 9 of the 12 holes. Bake for 20-25 minutes, or until tops begin to turn golden brown and a knife inserted in the middle comes out clean. I agree with you, it sure is nice to have several muffins already made. Great flavor combination. These look good. I’m sorry, I do not have a net carb count. On THM, I don’t count macros, but I am working on getting a nutritional calculator on my site soon! Has anyone used baking blend instead I this recipe? I have not tested these with Baking Blend, but Baking Blend is more “thirsty” than almond flour, so you would either want to use less of it or add more liquid. If you try it, please let me know how it turns out! These look so yummy! I bet the chocolate chip pumpkin combo is killer! These look delicious! I love that they are low-carb and sugar free too! So Delicious! I made these tonight and they are Wonderful! I loved the MIM version of this, but I think I actually like this one a little better! Thank you so much for doing this! What does “MIM” stand for? I would love to sink my teeth into one of these muffins right now. I love anything made with almond flour! These look amazing! I need to make a batch asap! Can I use coconut flour instead of almond? Thanks! I’m sorry, but I have not personally tried it with coconut flour – coconut flour is much more “thirsty” than almond flour, so I’m not sure what the substitution ratio would be. I would use half the amount of using Pyure. I made these this morning for breakfast before church The kitchen smelled so good and the muffins are delicious! Great start to a Sunday morning! Thanks for a “keeper” recipe!! Awesome! I’m so glad you like them – and they do smell delicious as they are baking! Can you use THM Gentle Sweet to sub the xylitol? I only have Erythritol, because of the dog poison issue with Xylitol. Can I use 1 for 1 in this recipe? Is the 2 Tbsp of coconut oil to be added in the wet ingredients or it that used to spray the pan? For anyone looking into information on nutrition for this recipe, I can maybe help! 197 Calories, 17g of fat (didn’t split it out on type), 11 total carbs, 5 fiber carbs, 2 sugar alcohol carbs (so 4 net carbs), 5g protein, and 91mg of sodium. With a less carby sweetener (granular splenda has about 1.5 per tablespoon), I believe you’re looking at 3 net carbs instead. Hmmm . . . What did you substitute? So I strongly dislike chocolate. Ok, I hate chocolate!! I know, I’m weird. I can just leave out the chocolate chips but do I need something to fill in so my muffins will be large enough. Of should I just make 7-8? Thanks for understanding. Ok so my last comment was for the MIM Pumpkin recipe not this one:):) LOL Oops!!! No problem! 🙂 I’m so glad you liked it! These are so very good! I tried to make these tonight. I doubled the recipe, and did 1/2 almond flour and 1/2 coconut floor. The batter was VERRRYYYY dry and crumbly. Not muffin-like batter at all. Suggestions???? I even added more coconut oil to try to offset dryness. ?? On a positive note, the batter was delicious! Hi Michele! Coconut flour is one of the most absorbent low-carb flours. In other words, it is very “thirsty.” I don’t recommend trying to replace with coconut flour in equal amounts. 🙂 If you would like to replace some of the almond flour with coconut flour, you need to add a good deal more liquid (perhaps water or almond milk) and eggs, and decrease the amount of flour. Hope that helps! Amazing! Great texture and flavor.